Now that HubSpot has sunset its keywords tool, here’s how and where you can track your keyword rankings going forward. 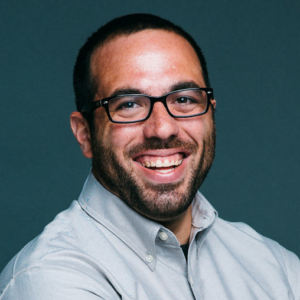 When news broke in February that HubSpot would be sunsetting its Keyword tool, many HubSpot users were left wondering how and where they’d be able to track their keyword rankings going forward. Still, the news left many marketers with questions. Which ones integrate with HubSpot? How can I transfer my keyword data from HubSpot? Earlier this year at Databox, we prioritized integrations with tools like Google Search Console, Ahrefs, Moz, SEMrush, and AccuRanker in order to offer marketers a better way to both track and visualize their keyword and website performance. Only AccuRanker and SEMrush offer an API that allows their customers to programmatically pull data, so you can visualize alongside data from other tools like HubSpot using a tool like Databox. In this post, we’ll aim to answer all of the questions you have around functionality of the tools, how much they cost, and how to visualize your keyword performance going forward. SEMrush is one of the biggest players in the SEO space and its position tracking tool allows marketers to track national, regional, and local search engine positions for any keyword. Founded in 2008, SEMrush’s positioning was unique as it was the first tool of its kind to offer competitive intelligence tools around keywords. So, not only can you monitor your own keyword rankings, but also those of your competitors in order to identify opportunities for improvement as well as gaps in the market. HubSpot: HubSpot has a great integration with SEMrush that allows you to transfer your keywords from HubSpot into SEMrush’s position tracking tool, making the transition painless. Pricing plans are built around the number of reports you’d like to see per day, as well as the number of results per report, and more importantly, the number of keywords you’re looking to track. There are also custom plan options available for enterprise. Note: in order to view your SEMRush data in Databox, you need “API Access” from SEMRush, which is only available in the SEMRush Business plan. You also must pay an additional fee for API Units from SEMRush. For this reason, we pull SEMRush data daily, instead of hourly, in order to keep your SEMRush API Unit usage lower. For more on pricing and packaging, visit their pricing page. This is table stakes for any marketer–the ability to track your top ranking keywords by position. SEMrush’s position tracking tool allows you to track your keyword ranking in the top 100 organic and paid results. 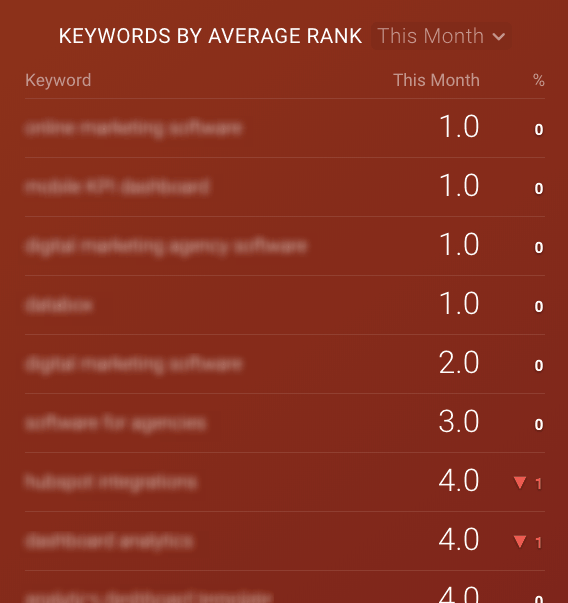 In this table visualization, we’re able to easily track our top keywords by their position in search as well as any percentage change compared to the last period. You can also add individual Datablocks in order to see a breakdown of the number of keywords ranking in the top 3, 10, 20, and 100 positions in Google. If you’re continually optimizing your content, it’s actually quite normal to see a percentage decrease in your top 10 and 20 buckets, and a subsequent increase in your top 3 bucket, as your keywords continue to move up in search. And while it can take a bit longer for new content to rank and replenish these buckets, it’s important to keep an eye on the absolute growth in these areas to ensure your overall content and SEO strategies are working. These are your top keywords by search volume. It’s an important metric to track, as you want to ensure that your content and SEO efforts are focused around keywords with a high search volume. Now, these keywords tend to also feature competition, however as your domain ranking improves over time (assuming you’re publishing helpful content that ranks highly in search), you’ll be in a better position to compete in these areas and rank in high positions. As your keyword rankings improve (or also when they fall), the overall visibility of your website will rise and fall, too. 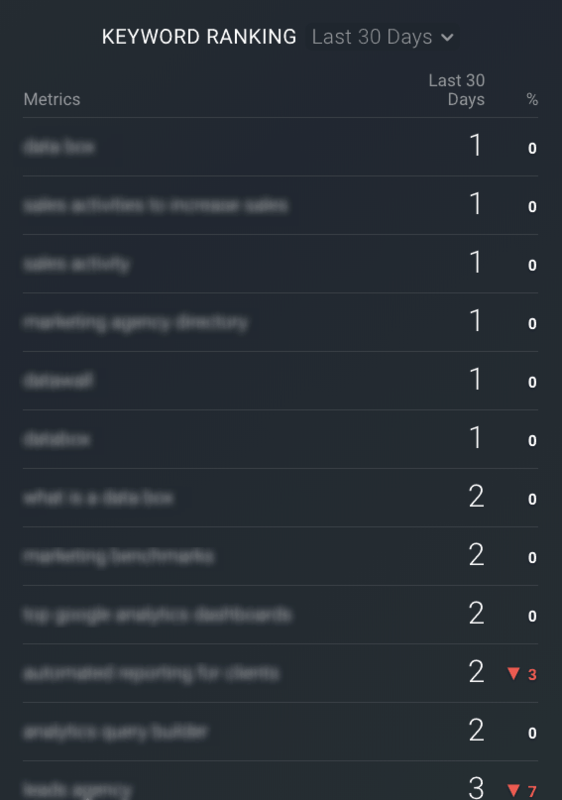 Visibility Trend is an easy way to monitor how your overall visibility is trending over time. Again, this is another metric that you’ll want to measure over the long haul. Because changes in keyword rankings can take time, there isn’t always a ton of value (unless you’re seeing significant changes in your Visibility Trend) in tracking this on a daily basis. AccuRanker positions itself as “the world’s fastest SEO rank tracker”, enabling you to check thousands of keyword rankings in seconds. Founded in 2012, AccuRanker’s focus has been on building the best keyword rank tracker in the space. Due to its speed and accuracy, it’s hard to argue against it. They also feature competitive analysis tools that allow you to track your keyword rankings in relation to competitors as well as your overall share of voice. HubSpot:AccuRanker also integrates with HubSpot, allowing users to easily move all of their keywords from HubSpot’s now deprecated Keywords tool into AccuRanker. Like SEMrush, AccuRanker also prices its packages around the number of keywords you’re looking to track. If you’re going off of pure keyword volume, AccuRanker’s pricing is more economical. To view AccuRanker data inside Databox, you will need API access, which is available on their Professional and above plans. AccuRanker does not charge additional fees for API usage, so you will not be limited in what you can pull into Databox. For more on AccuRanker pricing, visit their pricing page. This is the traditional view to measure where you currently rank for specific keywords. In this view, you’ll get a breakdown, by search position, for how you’re ranking. 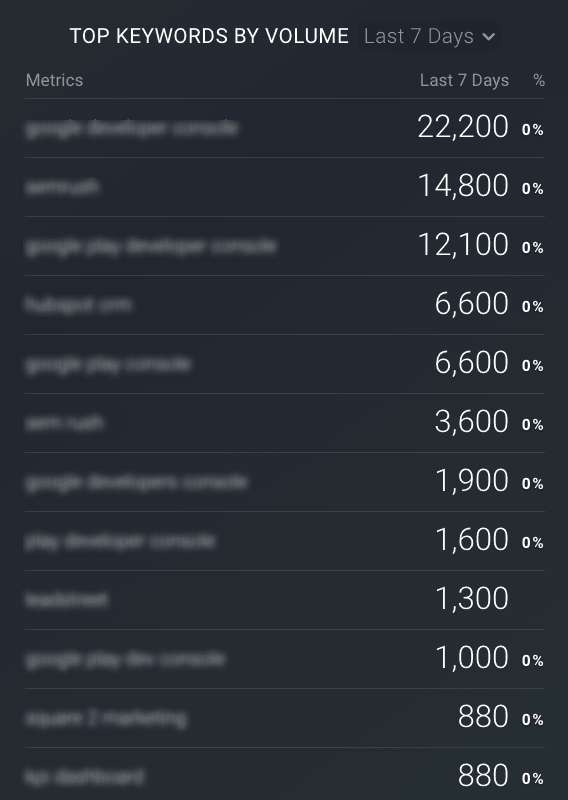 You’ll also see any percentage change in your rank for specific keywords. For high-position keywords, no change (or obviously, a percent increase) is what you’re looking for. Any percent decrease might signal a change in Google’s algorithm or other issues that are negatively influencing your rank for a specific keyword. 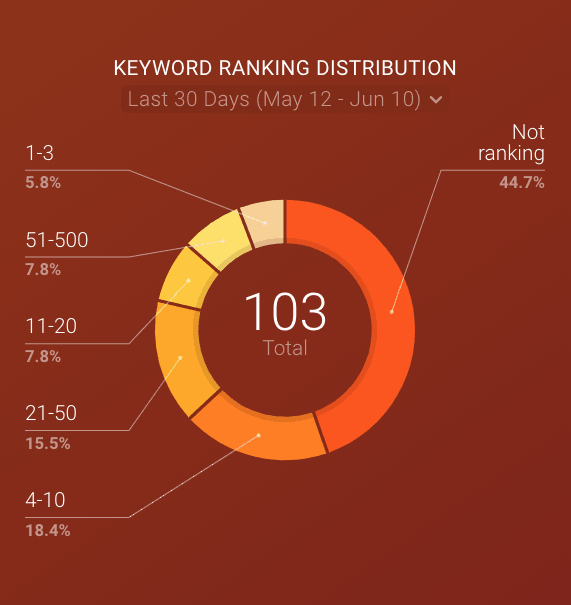 This visualization shows you the overall distribution, by position, of keywords you’re ranking for. If you’re investing heavily in content creation and optimization, you’ll want to ensure the distribution of high-position keywords grows month-over-month, or even quarterly, in order to make sure you’re seeing a return on your efforts. 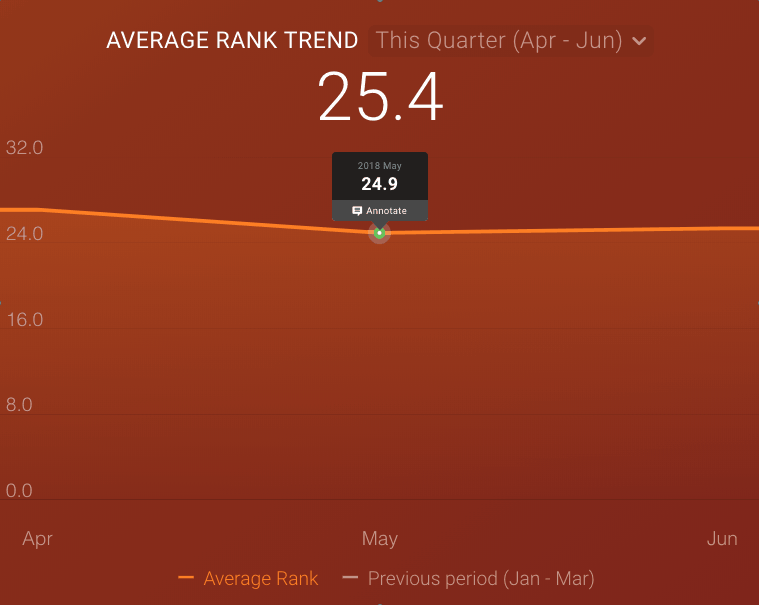 Your average rank trend is another easy way of visualizing how your overall SEO strategy is influencing your keyword rankings. This metric is, simply enough, your average keyword ranking. It’s important not to get caught up measuring this metric month-over-month. In most cases, changes to your search ranking can take time, and therefore it’s more insightful to watch how your average ranking trends on a quarterly basis rather than a monthly one. First, you’ll want to evaluate each product against your specific needs. Both SEMrush and AccuRanker offer free trials. You can sign up for SEMrush’s free trial here. And AccuRanker’s free trial here. Next, you can quickly start visualizing your keyword and SEO performance through one of our free templates. See each tool’s corresponding section above for links to more information on transferring your keyword data from HubSpot to the tool of your choosing. As always, we’re eager to hear your feedback. Will this help you replace the functionality of the HubSpot Keywords tool? Our marketing agency partners love these 11 Databox features the most.